It has been 3 years since Beyond Building and Sunny Roo solar products went into receivership and ceased trading, and unfortunately many Gold Coast home owners are still being affected. 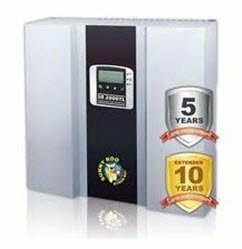 Gold Coast Energy often receive enquiries from home owners regarding the performance of their solar energy systems, in particular the Sunny Roo solar inverters. In some cases, they have only discovered their system wasn’t operating efficiently when they received their latest energy bill. It is also unfortunate that there is no longer any warranties or manufacturers support available for the Sunny Roo solar inverter. However, we do have some good news; most problems can be repaired or easily replaced and Gold Coast Energy is here for the long haul and ready to assist in every way possible. Some of the reasons for poor (or no) performance, range from dirty panels to loose connections and/or faulty inverters. 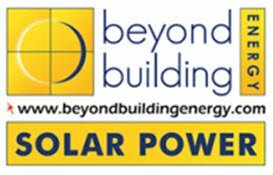 Gold Coast Energy worked with Beyond Building on solar system installations from 2009, and although Beyond Building has ceased trading, the solar energy system you purchased is designed to deliver cost-effective, environmentally-friendly electricity for 25 years. We can send out an experienced technician to inspect your Beyond Building and Sunny Roo system. They will advise you on the best course of action and can perform repairs or replacements. Our experience shows many Gold Coast homes have been approved for solar systems larger than is presently installed on their roof tops. The approved system size is based on the size of your inverter. In most cases, upgrading your system can be more cost effective option than repairs and will increase your savings. Gold Coast Energy is the trusted name in Solar Energy products and installation on the Gold Coast. We only work with the best brands, which have long warranties that will be honoured. If you have any questions regarding your solar system, Beyond Building and Sunny Roo Products or you would like information about upgrading your system and saving more money, please feel free to call us on 07 5525 2111.